Free Vintage Angel With Harp Clipart. Click the image to view and download the full-size version. A nice angel in heavenly blue with a golden harp. This image is from an 1880s scrapbook. She’s a rather large and heavy die-cut. She would be so lovely in a collage, tags, or other print project. One can never get enough Victorian angels. There just seems to be something special about them. 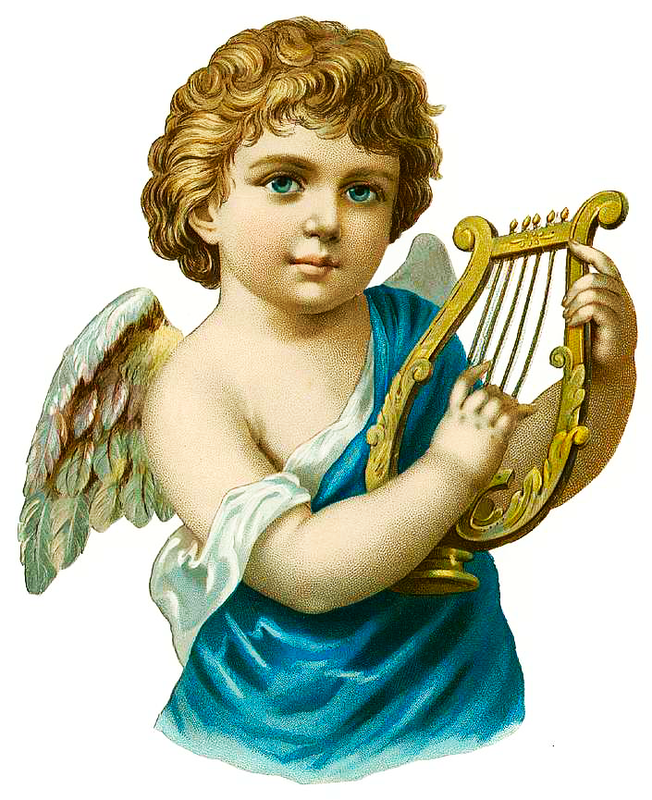 This entry was posted in Angels and tagged Angel clipart, antique image, Free Vintage Angel With Harp Clipart, stock image, vintage image on October 15, 2014 by ClipArtPlace. Just about everyone recognizes this wonderful old illustration, by Daniel Ridgway Knight, and thinks fondly of it. 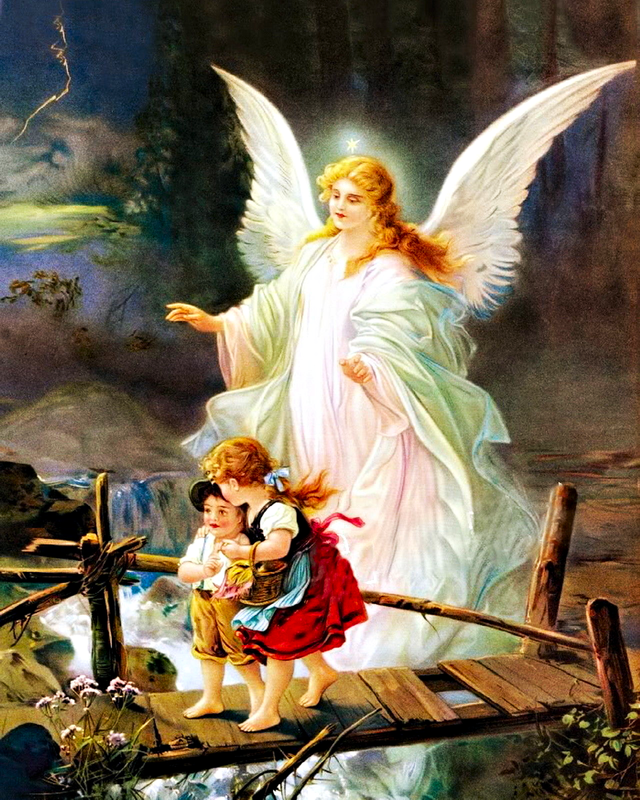 It shows a guardian angel helping two children cross a perilous bridge. The angel is smiling and lovely, exuding warmth. This treasured image would be great for all kinds of creative projects from scrapbooking to print projects. This entry was posted in Angels and tagged Angel clipart, Angel Graphics, antique image, royalty-free, vintage image on October 6, 2014 by ClipArtPlace.